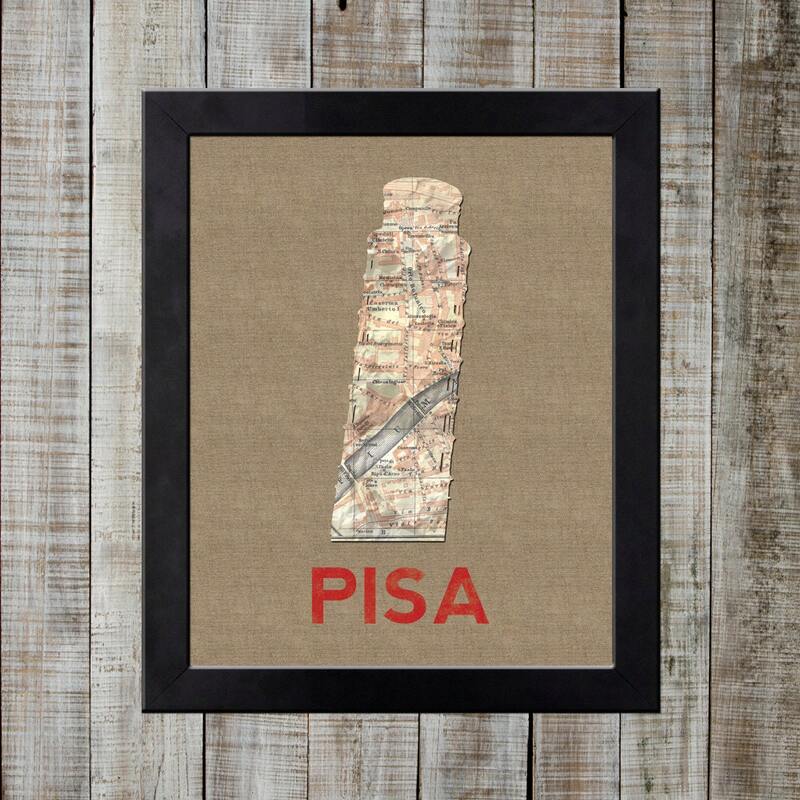 This design includes one of Italy's most recognizable landmarks, the Leaning Tower of Pisa. Erected as a bell tower for the local cathedral, completed in 1322, it's a building rich with history. It's said that Galileo did his famous gravity experiments off the top of the tower. It has been leaning pretty much its entire existence, and is a well-known tourist attraction. Can you find the tower's location on the map? These unique prints are available as both 8x10 and 5x7 landscape oriented prints.